No single team is more deserving of playing in the Super Bowl after such a high scoring playoff than the Atlanta Falcons. 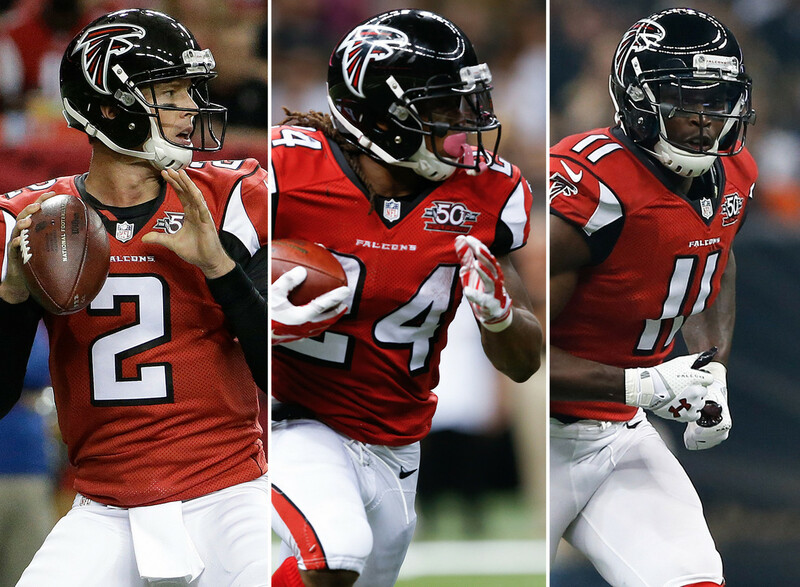 Offensive Coordinator Kyle Shanahan pulled out all of the stops in 2016, and the combination of his scheme and the talented personnel allowed Atlanta to put up high point totals all season long. They put up over forty points five separate times, and they moved the ball with their passing game in both Denver and Seattle with relative ease. They finished with the 8th highest regular season point total of all time. If the Falcons manage to score 17 points in the Super Bowl, which is extremely likely, then they will finish with the third highest point total ever for a single season (including playoffs). All of these accomplishments and milestones are the result of Shanahan putting Atlanta’s talented players in the best position to succeed again and again. The tandem of running backs Devonta Freeman and Tevin Coleman is a prime example of this offense’s versatility. Atlanta was one of nine teams that had two running backs who each were each on the field for over 30% of offensive snaps this season, but they were by far the most effective at splitting the role, as their two backs scored a combined 24 touchdowns. Deftly alternating between Freeman and Coleman allowed the team to confuse defenses who never knew what to expect from the personnel lining up in front of them, while also conserving the health and stamina of each player. But the NFL playoffs are not a time for conservation. They are a time to get Freeman in the open field and watch him embarrass defenders, And1 mixtape style. Any success Atlanta enjoys in Super Bowl LI against the top scoring defense in the league will almost entirely come down to these two running backs breaking similar huge plays. Otherwise, the Falcons’ passing game will be far too predictable for a Belichick coached defense. Speaking of predictable, there is no doubt which non-QB will have the most eyeballs on him throughout the night. No one has had an interesting take on Julio Jones for a few years now because he has been so damn consistent and the Falcons have been so damn irrelevant. While occasionally nagged by foot problems, if he is healthy enough to play 14 out of 16 games, pencil him in for 1,000 yards. Basically, he can do it all against anybody at any time. He can carry an entire drive. He is not just a big play threat, but he can and will definitely still break a few of those too. A single stud receiver typically does not tilt the Super Bowl odds by himself, but if no one is big enough and fast enough to cover Julio, then maybe he is an exception to the rule. Matt Ryan was clearly the engine of this drive. On each completion, he put the ball in the exact place where his receivers could make a play while avoiding any potential for turning the ball over. He avoided Richard Sherman by attacking the middle of the field (a known weakness of the Seattle defense) and the left sideline. With credit to both Ryan and Shanahan, four different Falcons skill position players were used to keep the defense guessing with Sanu, Gabriel, and Jones all getting open quickly followed by Tevin Coleman running out of the backfield to a wide open spot in the endzone. Undoubtedly, Matt Ryan will need a few perfect drives like this against the Patriots. He will soon be named MVP, and articles like this one popping up everywhere are proof that this historic Atlanta offense has finally silenced all doubters, but if they cannot succeed against the perennial juggernaut from New England, then history will not treat them so kindly. On the other side of the ball, Atlanta’s defense is clearly vulnerable to the Patriots’ unpredictable offense, so it is doubtful that they will be able to sit on another large first half lead. A perfect drive means there is no margin for error. The Dolphins had one win against a winning team all year. They had a -17 point differential, which was 9th worst in the league. Their playoff berth was gifted to them by an exceedingly mediocre crop of NFL teams, but that is another story. The other eight teams were the Jets, Bengals, Vikings, Browns, Patriots, Redskins, 49ers and Chiefs.